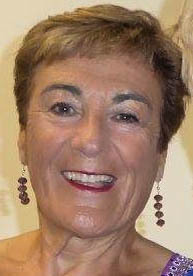 Lyn was first introduced to barbershop in 1994, when she joined Wessex Harmony in the UK. Moving to Murcia, Spain in 2002, she missed barbershop singing and, with the help of friends, set up a new chorus called Spangles. 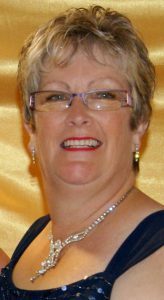 Lyn helped to set up the Spanish Association of Barbershop Singers in 2008 and to organise the first En Armonía convention in 2011, where Spangles won the first of three gold medals. Lyn’s mission is to raise SABS’ profile and encourage more singers to take up barbershop singing in Spain by running workshops for people of all ages, ensuring that SABS continues to grow. 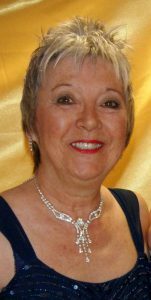 Barbara has always loved singing and joined Spangles in 2008 after seeing them sing at a Christmas Show. She was soon "hooked" and taking on the role of Tenor Section Leader. Loving the unique sound of 4 part Harmony, Barbara was thrilled when she was asked to sing Tenor with the first quartet to be formed from within Spangles - Viva Quartet. Barbara has enjoyed her first year as Vice President of SABS, fully supporting the President in her mission to encourage more people to be able to Sing in Harmony. Although not an actual Barbarshopper, Ian has been a professional musician for 40 years in the UK and in Spain. 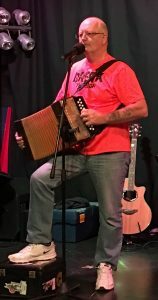 A former member of a number of A Capella singing groups and playing guitar, pipes, melodeons, trombone, banjo, harmonicas and various other instruments, he has served on the committee of various music festivals and currently runs a Folk Music Club in the Alicante province. 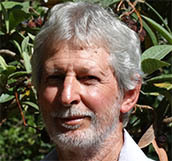 A former engineer, moving into management and behavioural psychology in the late 70s and from Nottingham to Kent in the 80s during which time he managed Kent County Council’s services for disabled people throughout the county as well as lecturing at various colleges. At this time he met his wife, Carol, who is now a keen Barbershopper with Spangles. A keen Scuba diver, he studied to become a Master Scuba Diver Trainer and took up an opportunity in the late 90s to manage a dive-boat in Turkey and for several years taught Scuba diving professionally. Originally moving to Spain in 2005 in order to open a dive centre, his market research, showed little likelihood of getting a return on an investment. However another opportunity arose and after working in a Spanish office for 3 years, he became an Administrador de Fincas in his own right. He continues to work in that role, his business now being in it’s tenth year. Juan de Dios Casquero Ruiz lives in El Escorial(Madrid Province). He studied at the Universidad Complutense (Madrid) and got his Bachelor in Chemistry. He became a PhD in PhysicsChemistry at the age 27. One year before he joined the UNED (the Teaching at a DistanceNational University - Madrid) where he has developped his career as a Professor in InorganicChemistry. Juan de Dios has been singing in the Los Peñascales Chorus for twenty years and joined Barberidad Chorus four years ago. In the year 2013, with Barberidad, he participated in the European Convention of Barbershop Music which took place in Veldhoven (Holland). Donna moved to Spain in 2008 with her husband Andy and then 5 year old son Charlie. They set up a golf business with another couple in 2009 selling discounted green fees and golf holidays and now their company is one of the largest producers of green fees in Southern Spain and they also have 2 retail golf shops. Although Donna has always loved singing she thought that she wasn’t very good at it, that is until she attended a SHIAD day at Spangles in November 2013. Her love of singing and barbershop started that day. After 3 great years with Spangles Donna now sings with Pilarmonics and also in a newly formed quartet Outrageous Fourtune. 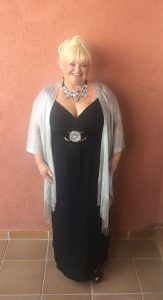 Donna threw herself into SABS following her first convention in Calpe in 2014 and was MC for the Fun Show in both 2015 & 2016, Scratch Quartet MC in 2016 and National Quartet Contest MC at the most recent convention in 2017. She is very much looking forward to being more involved with SABS in the future and is delighted to have been voted on to the SABS Board as Membership Secretary. After many years travelling all over the world on business, I finally hung up my suitcase. A new neighbour asked me to go to the village choir rehearsal which is where I found that I really could sing. When I heard barbershop being sung on the radio one day, I made enquiries and found a local group called ‘Fine City Chorus’ in nearby Norwich. That was in 1988 and, since then, I have also sung in an octet and two quartets. There I met Bren, my wife, who was singing with the Norwich Harmony ladies chorus. When we retired to Spain, there was no local barbershop singing so we formed Tropical Tones in Almuñecar. Bren became the Musical Director and I was President. We enjoyed ten successful years there, including organising three full shows in the Casa de la Cultura theatres in Almuñecar and Nerja. The chorus contributed over 4000 euros to charity. We were among the first members of SABS. I now have a small village chorus ‘Acapella Alpujarra’ and I also administer Bren‘s ladies’ chorus ‘Songbirds’. Currently I am Southern Vocal for SABS and have previously helped manage the Convention Courier Team. In 2017, I became the Convention Manager. Twenty eight wonderful years as a Barbershopper! Pucelano de nacimiento, madrileño residente e informático de carrera. Empecé en la música en un coro de pueblo y allí comenzó mi gusto por la música coral. De ahí pasé a coros grandes participativos y finalmente al coro de la UPM, donde canto actualmente. Un día de 2011 acudí a un concierto en Madrid donde cantaba un cuarteto llamado Crossroads y allí comprendí que el barbershop era el tipo de música que había estado buscando. En aquel concierto conocí al coro Barberidad y poco después entré a formar parte como barítono. Desde entonces he pasado a realizar tareas variadas de coordinación y actualmente soy vocal de la zona centro oeste de SABS. Born in Valladolid, I now live in Madrid and have a career in computers. I started in music in a village choir and there began my taste for choral music. From there I went to large participatory choirs and finally to the UPM, where I currently sing. One day in 2011 I went to a concert in Madrid where I saw a quartet called Crossroads and there I realised that the barbershop style was the kind of music I had been looking for. At that concert I met the Barberidad Chorus and soon after I joined the group as a baritone. Since then I have gone on to perform various administative tasks and I am currently the SABS representative for the central west zone of Spain. Nacido en Barcelona. Estudia lenguaje musical y piano en la Escuela Marshall de Barcelona. Desde el 2010 estudia canto clásico con los profesores Oriol Rosés y Marta Mathéu. 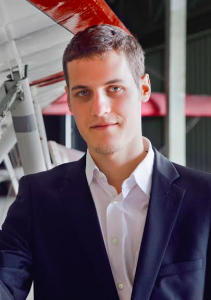 Es licenciado en ciencias físicas por la Universitat de Barcelona y tiene el grado superior de composición en la Escola Superior de Música de Catalunya (ESMuC), con el profesor Albert Guinovart. Ha formado parte de varias formaciones corales de Barcelona, como el Cor Jove del Palau de la Música de Barcelona o el Cor Madrigal. 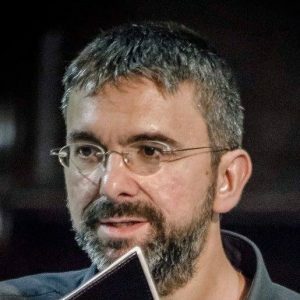 También realiza colaboraciones con formaciones profesionales como la Xantria o el Cor de cambra Francesc Valls de la Catedral de Barcelona. El año 2013 participa en las óperas La Fille du Régiment (de Gaetano Donizetti) como miembro del coro y en The Turn of the Screw (de Benjamin Britten) en el rol de Peter Quint. También es miembro del Cor de Cambra ARSinNOVA, con el que ha obtenido el primer premio del 6ª Festival Internacional Coral de Malgrat de Mar (2011), el primer premio en el XLII Certamen Coral de Ejea de los Caballeros (2012) y el primer premio en el XV Gran Premio Nacional de Canto Coral (2013). Actualmente compagina la docencia musical con su actividad como cantante en varias formaciones profesionales y con el cuarteto, donde canta las voces de barítono y lead. Conchita Moronatti. Born in Vizcaya, Spain and worked at the North London Collegiate School in Stanmore, UK. Married to Tony, they have two children and two grandchildren, and are happily retired and living in Los Alcázares, Murcia. Conchita is an active member of Spangles and represents SABS in the Levante region. Currently I am Southern Vocal for SABS and helped manage the Convention Courier Team. In 2017, I became the Convention Manager. 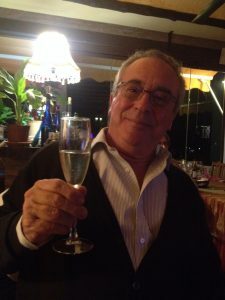 Twenty eight wonderful years as a Barbershopper!